In honor of Child Abuse Prevention month in April, Exchange Family Center (EFC) is hosting the Pinwheels Family Fun Day (APRIL 28th). A day full of games, prizes, limbo contests and a mini golf tournament you will not want to miss, Pinwheels Family Fun Day provides a chance to let your inner-child run free and make memories! Pinwheels Family Fun Day is also part of a larger initiative spreading awareness of the need to ensure the safety and welfare of our children. For over 26 years, EFC has worked to strengthen relationships between parents and their children when life brings about difficult or uncertain moments. EFC’s Pinwheels Family Fun Day is one exciting way we like to bring our families closer together. The event takes place at Wheels Fun Park (715 N. Hoover Rd.) on Sunday, April 28th from 12pm until 6:00pm and there will be all the usual fun Wheels activities – go karts, batting cages, mazes, skating, mini golf, and the fun gym. In addition to all of the signature Wheels Fun Park activities, there will also be a photo booth, limbo contest, local performers, raffle prizes, and more! 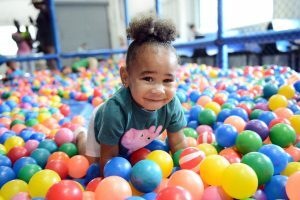 The Exchange Family Center is a Smart Start funded Direct Service Provider through Durham’s Partnership for Children and a member of several collaborations with DPfC. EFC has been strengthening families in Durham County since 1992. The agency is home to the Family Support Program, the Early Childhood Outreach Program (EChO), and the Parenting of Adolescents program. EFC provides best practice interventions to childcare providers and families with children from birth – 17 to change caregiver-child dynamics and reduce children’s challenging behavior. All of EFC’s services are free and available in both English and Spanish.